Huffingtongpost write further on Britain First’s liking comments which endorse violence, blowing the Mosque up. 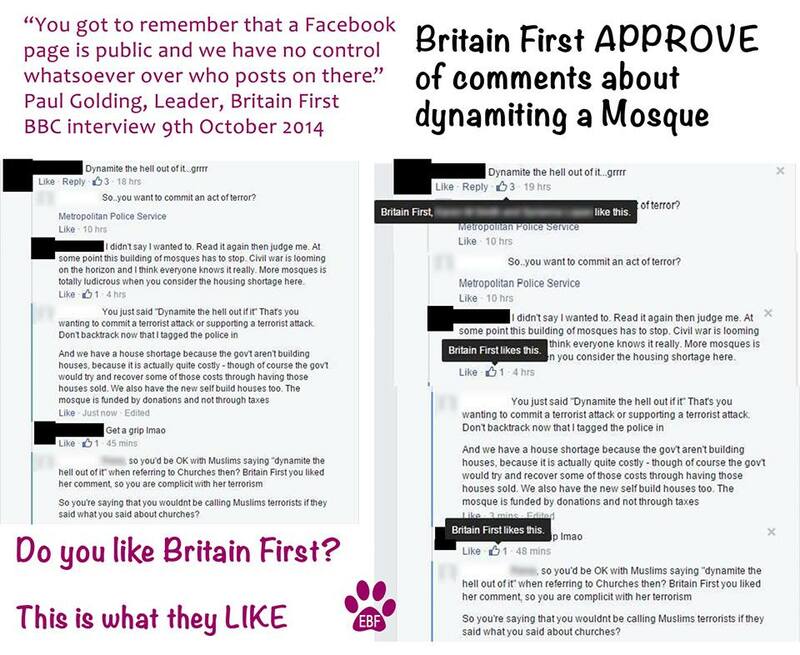 Britain First appear to be condoning people who call for the blowing up of mosques. In the comments section on their Facebook page they have liked comments suggesting people should “dynamite” a new building planned for Lincoln. Among the 196 people who have liked it is the Britain First page itself. Again, the Britain First page has liked the comment. 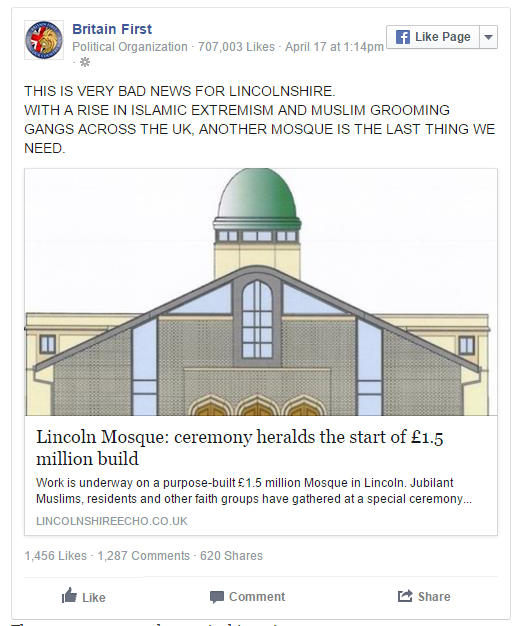 Britain First have made no secret of their dislike of the building of mosques in the UK – they have in the past threatened to bury pigs in ground designated for their construction. But condoning their destruction is a huge step up. The pseudo-political group/militia have gained a controversial reputation in recent months for their direct action in the form of protests and ‘Christian’ Patrols’.